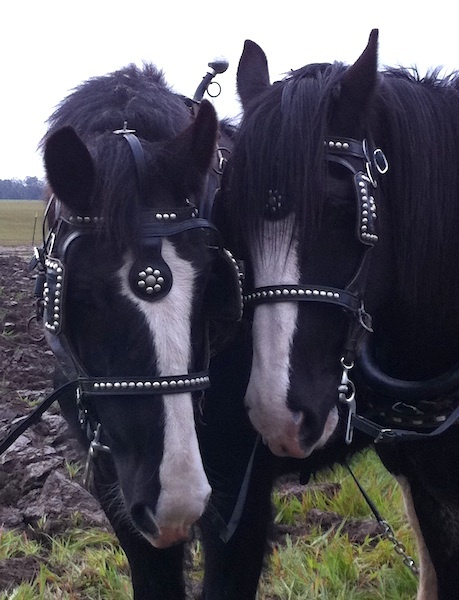 Good Stuff NW: Big Horses: The Future of Farming? Nascar and monster trucks have their fans, but for me an afternoon spent out in the fresh air listening to the heaving breath of big horses and the sound of plows turning the earth is a slice of heaven. This year's Farm Fest 2012, sponsored by the Yamhill County Historical Society and the Oregon Draft Horse Breeders Association, will give you a rare chance to see a wide range of draft horse breeds doing what they do best. 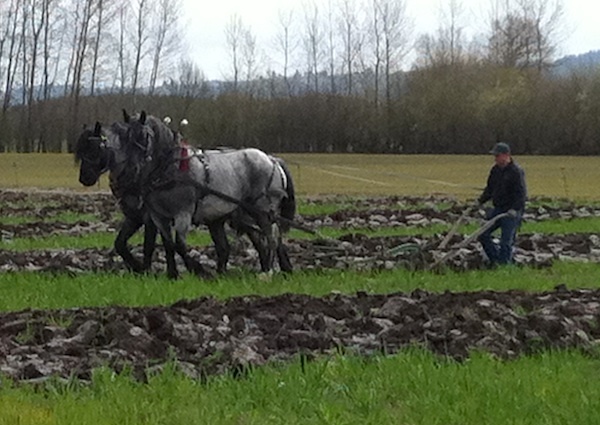 Lest you think this is a quaint historical reenactment, know that plowing with draft horses and mules is coming back in a big way on many small Oregon farms. Its low impact on the land and multiple benefits—manure for fertilizer, ability to do multiple tasks like plowing, haying and harvesting, relatively low maintenance costs—have many pieces of farm equipment being put out to pasture, especially in an era of sky-high fuel prices. So whether you're into history, horses, the future of farming or simply want a nice drive in the country, put this event on your calendar with a big red circle. Details: Farm Fest 2012. April 14, 10 am-3 pm; $3 adults, kids under 12 free. Yamhill Valley Heritage Center, 11275 SW Durham Lane, McMinnville. 503-434-0490.
thanks for posting!! I'll see you at the plowing with my not so big big horses! : ) cheers! Definitely planning to be there! Oh wow! What a great excuse for a springtime adventure - thanks for posting. Love those horses - grew up on a farm and fell in love with the smell of horses! I'd sleep in the stable anytime. 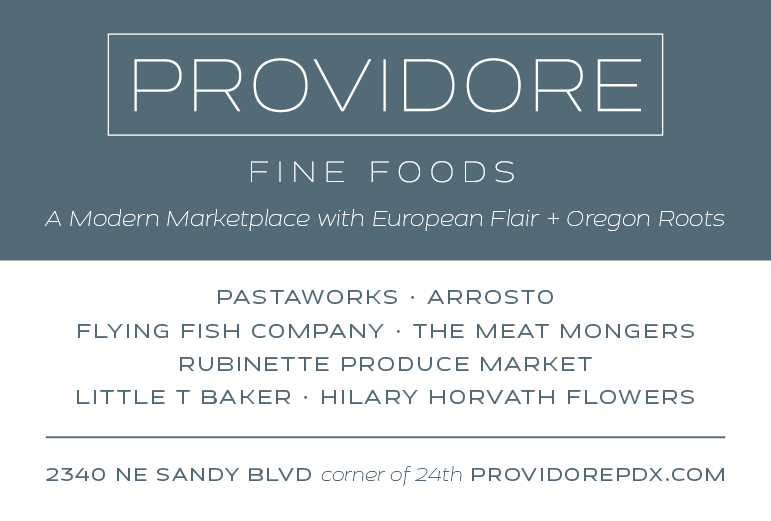 I attended this event last year and was smitten…I think you will be too! Thanks for writing, Doc!